Elite Survey Sites Offers Pinecone Research Invitations!!! Request an invite here to start earning today! Contest Requirements: Complete an eligible survey for automatic entry. Panelists accepted from from United States, Canada, UK. Pinecone Research is not your average survey site. For a start, the registration process is more secretive than MI5. There’s no direct signup link unfortunately, the best way to get an invite is through banner advertisements on the web, you’ll find these banners or links on many popular money sites. So it’s worth keeping your eye out for an invitation! Here’s your special invite from us (you’re welcome! ): Claim Your Pinecone Research Invite from Elite Survey Sites now! Despite the limited availability Pinecone Research doesn’t come without well-deserved rewards. Pinecone is among one of the top paying survey sites, with users earning as much as £3/$5 for each completed survey. It regularly enjoys countless 5 star reviews from its user base, and it’s easy to see why. The site offers a wide variety of interesting surveys, across a range of topics, has great user support and even sends out products for users to test from time to time. For those worried as to whether Pinecone is a scam or whether it’s safe to use, you’re in good hands. Pinecone is owned by parent company Nielsen Group in the US which is one of the biggest market research organizations in the country. Pinecone research doesn’t mess around with shopping vouchers or points to redeem in raffles. By default the site pays out by Paypal or check. 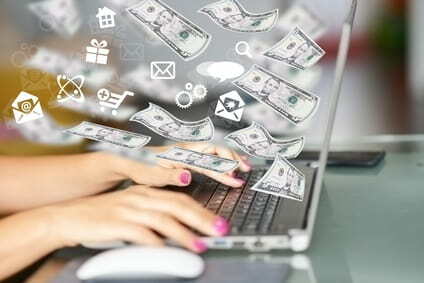 Pinecone is among one of the best survey sites for paying out to its users, each survey takes between 15-20 minutes and payments to Paypal can be processed as quickly as 24 hours after a survey has been completed. On average the rewards from each survey are in your account within one business day. 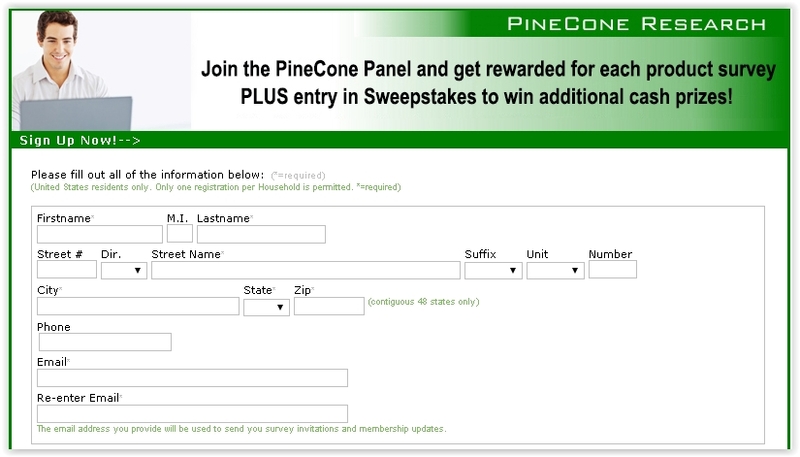 Another advantage of Pinecone is that you may even find your reward amounts going up after each survey you complete! Unlike some other survey sites you are well rewarded for your loyalty, and it doesn’t take a lifetime to get there either. There are plenty of regular surveys so you shouldn’t have an issue in rising up the ranks. Some people suggest that Pinecone doesn’t quite offer the level of surveys of some other websites however on the flip side you don’t have to worry about wasting time with possible disqualifications, the surveys are generally “to the point” and simply focus on the questions that are necessary. The other thing you don’t have to worry about is browser crashes, since the site saves your progress and lets you easily come back at any time to recomplete it, a lifesaving feature for any regular survey user. 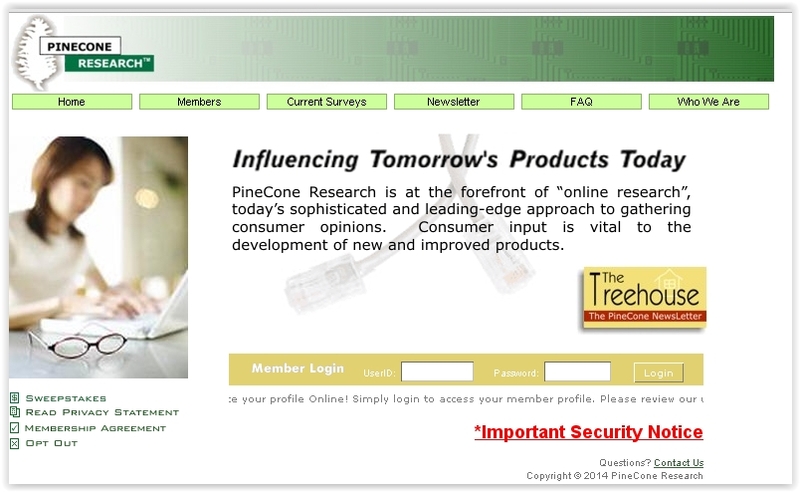 Pinecone Research surveys helps to develop all manner of new products and services, from time to time you may be asked at the end of a survey whether you wish to test a product or not. Note this is not a dedicated area on the site and is something that simply springs up from time to time. Sadly expressing your interest does not guarantee that you will get to test the product. Who Can Join Pinecone Research? You might be wondering, if Pinecone doesn’t actively seek new registrants perhaps they are really picky as to who registers on their site? This isn’t really the case, the only criteria are that you are at least 18 years of age and that you are based either within the UK, USA, Canada, or Germany. The site is always free to register to, under no circumstances should you be expected to pay to register to any survey website. Once you have received your invitation you will be asked to fill out your profile, this is incredible important as without doing so Pinecone won’t know which surveys to send you. To make sure you know you’re on the correct website here are the pages you should be landing on when you sign up. What Are the Weak Points of Pinecone Research? Of course, there will always be some complainers and everyone is entitled to their own opinion. Outstanding, friendly user support and comprehensive FAQ with almost everything you could need. Interesting and well-designed surveys – The trouble with some surveys is that they’re really dull, they can go on and on and can become a little monotonous. You’re only sent the surveys you qualify for! – No disqualifications! The lack of an open registration system – The only real con is the limited new sign-ups that the site accepts, if you can get an account however you surely won’t regret it! But I can help. Click here to check if it is open for you now. If you can get an invitation to the website it’s certainly worth spending your time on, the reviews really speak for themselves. Request your invitation here. We highly suggest you register if possible. Conclusion – Pinecone Research is a Must-Join! If you’re looking for a trustworthy survey website that pays well, Pinecone Research is for you! Claim your invitation and start hammering out their $3 surveys, you’ll be enjoying your first cash-out in no time and there will still be survey offers flowing your way in months from now too!